An annual summer walk to a place, shrine or area exploring a particular theme or aspect of our faith and Christian heritage. What we rediscover, year after year, is the amazing personal and community value of going on a pilgrimage as our medieval forebears did, where the journey, walking, laughing, sharing, praying, singing, etc. is as important as the destination. We stop at a pub for lunch and sleep on the floors of church, school or community halls. We try to walk on footpaths not roads. Our pilgrimages are open to all, so long as you are able to walk about 15 miles per day and sleep on a floor. Planning to walk The Pilgrims Way this year? A new Cicerone guide to the Pilgrims Way is being published on 15 February 2017, which includes the relevant sections of the OS maps. 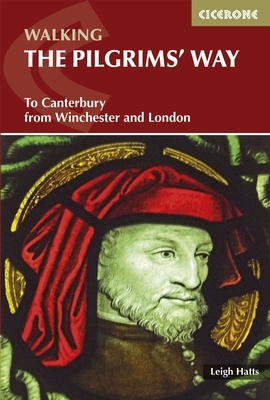 This guidebook describes an ancient pilgrimage route in southern England from Winchester in Hampshire, or Southwark, London to Canterbury, a 133-mile walk through wood and farmland, with views across the Weald. Divided into stages of about 10 miles, with route summary and information on public transport, accommodation and places of interest. There have been a couple of good amendments to the route, avoiding bigger roads but maintaining the mode of journeying from community to community and church to church as early pilgrims would have done. We hope to amend the website route to match this as soon as possible. Budget Accommodation – Can You Help? 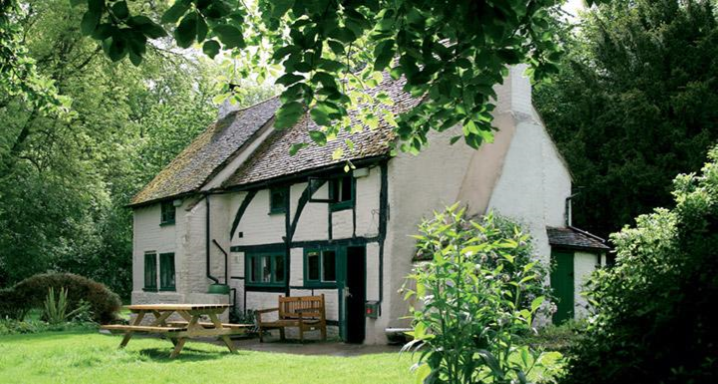 One of the biggest challenges to those walking the Pilgrims Way is finding suitable and affordable accommodation. If you have or know of church or village halls or other low cost options, please let us know. We will include them on the website so that others can make use of them. This amazing eco project, situated literally alongside the Pilgrims Way, has launched into its new season, the first visitors being a group of scouts walking and orienteering. 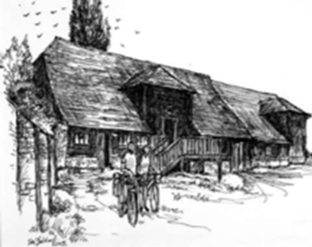 The simple accommodation, set in a 200 year old barn, is open from Spring until the end of October subject to advance booking, and pilgrims can be assured of a warm welcome whether travelling individually or as part of a group. 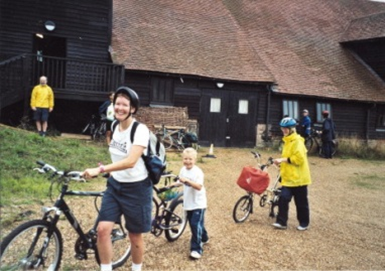 The Barn is 2 miles from Wanborough railway station and 5 miles from Guildford. The communal sleeping platforms come with privacy partitions to divide the space into 3 separate areas, and you can either bring your own sleeping bag or hire one; there is a shower room and toilets. Amenities include a self-catering kitchen, a secure bike shed and a picnic area. Each year the small charity running the Barn endeavour to embark on new ways to enhance the project – in 2017 the planting of a hedge. Located on the North Downs Way above the village of Westwell and surrounded by rolling hills and woodland. The owners say, we offer our visitors simple, clean facilities and lots of space. We are a working farm with sheep, cattle and horses in the surrounding fields and chickens and goats around the farm yard. We are always happy to accommodate Duke of Edinburgh’s Award groups and we have a good number of schools who regularly use Dunn Street Farm Campsite as a base for Bronze and Silver expeditions. To book a pitch, get in touch via the website or email dunnstreetfarm@gmail.com. Discounted rate £5 perperson per night to holders of Pilgrim Passports. Pitches must be booked in advance. 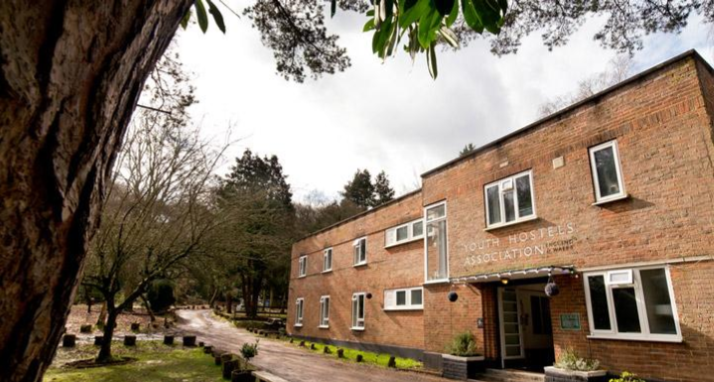 A secluded hostel at the top of a narrow country lane, in an area of Outstanding Natural Beauty. Selection of rooms 1 x 3 bedded (one double bed with a single bunk over the top) room, 2 x 2 bedded rooms and 10 x 4 bedded rooms, along with 15 camping spaces. All toilets, showers and hand basins are shared. 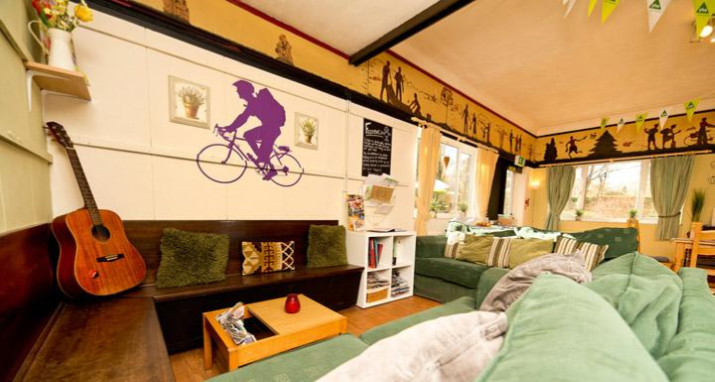 The hostel has a large open plan dining room and lounge in one. Mobile phone signal is limited at the hostel but there is free Wi-Fi in communal areas. Beds from £13, private rooms from £36, family rooms from £35.00, camping from £12.50.